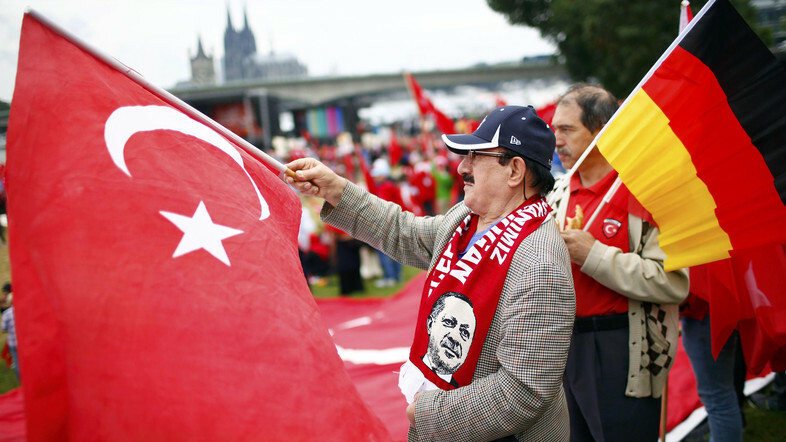 Turkish consulates in Germany have been organizing events for Turkish parents and asking them to spy on critics of the President Recep Tayyip Erdoğan and Turkey at German schools, according to an education trade union, GEW (Gewerkschaft Erziehung und Wissenschaft). “The Turkish consulates are pushing parents to intimidate teachers and to report teachers who criticize Turkey or President Erdoğan,” GEW official Süleyman Ateş told German media. “We certainly know about such events in the Turkish Consulates in Düsseldorf and Essen. In other cities, we have heard from parents that there should have been such events, ” Ateş said. Earlier, German authorities launched investigation into Turkish imams affiliated with Turkish-Islamic Union for Religious Affairs (DİTİB) who were alleged to have been spying on Erdoğan’s critics. A document dated Sept. 20, 2016 said that the Turkey’s religious directorate Diyanet asked Turkish missions and religious representatives abroad to profile Gülen movement expatriates living in their respective countries. Peter Pilz, an Austrian opposition lawmaker claimed this week that Turkey has also been operating an informer network via its embassy in Vienna that targets Erdoğan critics.